It’s no secret that here at Bad Wilf, we love Jason Statham. So it’s with great joy, that I bring you the trailer for his next movie The Meg. It looks over the top, absolutely ridiculous and I can’t wait. It’s no secret that I love a Statham movie. So, I’m ridiculously excited for Wild Card. 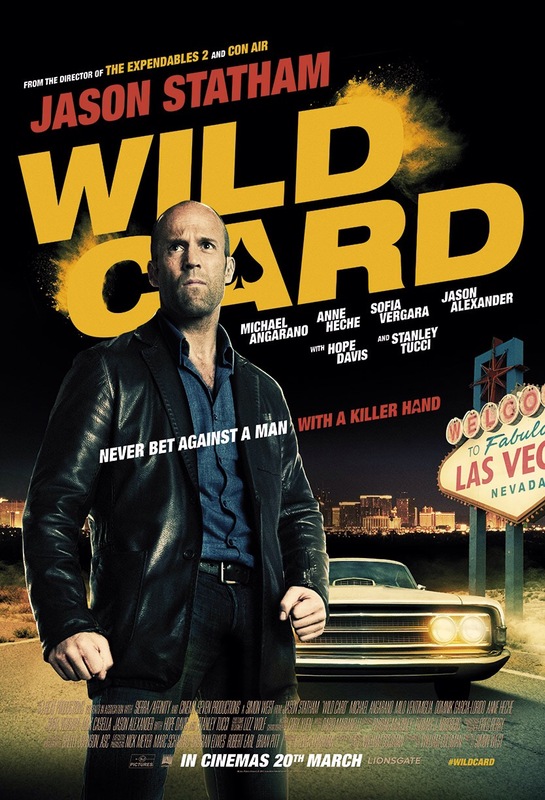 Jason Statham plays Nick Wild, a Las Vegas bodyguard with lethal professional skills and a personal gambling problem. When a friend is beaten by a sadistic thug, Nick strikes back, only to find out the thug is the son of a powerful mob boss. Suddenly Nick is plunged into the criminal underworld, chased by enforcers and wanted by the mob. Having raised the stakes, Nick has one last play to change his fortunes…and this time, it’s all or nothing. From two-time Academy® Award-winning writer William Goldman (Best Original Screenplay, Butch Cassidy and the Sundance Kid, 1969; Best Adapted Screenplay, All the President’s Men, 1976). The film also stars Milo Ventimiglia (Heroes), Michael Angarano (Almost Famous), Anne Heche (6 days, 7 nights), Jason Alexander (Seinfeld) Sofia Vergara (Modern Family), and Stanley Tucci (The Hunger Games). A DVD copy of The Expendables 3, written by and starring Sylvester Stallone has leaked online, three weeks before the film is released in cinemas. The leak could potentially affect the films box office revenue, as it’s target audience is Internet savvy teenagers. So far the film has been downloaded via piracy sites more than 189,000 times, in just 24 hours. A similar incident happened in 2008, when a rough copy of X-Men Origins:Wolverine leaked online. Recently also saw the leaks of two episodes of Doctor Who being released six weeks before transmission. 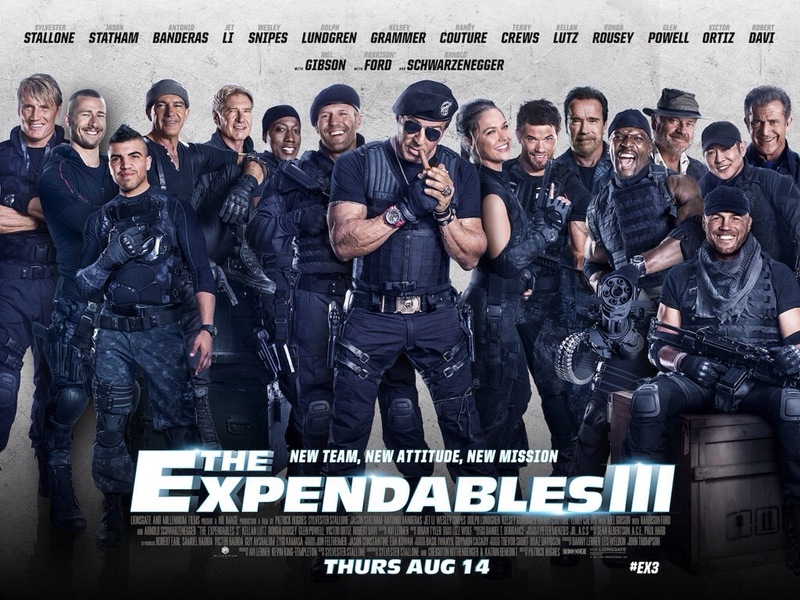 Here is a brand new clip for The Expendables 3, it features Randy Couture and Wesley Snipes and pokes fun at Snipes’ recent stint in Jail for tax evasion. THE EXPENDABLES 3, blasts into cinemas on Thursday 14th August 2014. 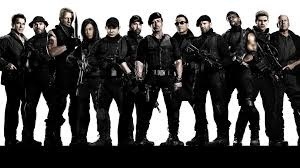 Here is a trailer for the upcoming Expendables 3. I’ll admit, I’m excited for this. I’ve enjoyed both the previous and I’ll be going to see this on opening night. Expendables 3 comes out in August. 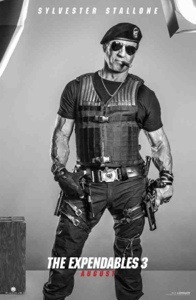 Lionsgate have unveiled a plethora of cast pictures from Expendables 3. The pictures show cast members from the previous two films, as well as new cast such as Harrison Ford and Kelsey Grammar. The film comes out in August. Parker has existed in many iterations in the past. He is the career criminal fro m Donald E. Westlake’s long-running series of novels. But, the character has never been permitted to keep his name. Parker (Jason Statham) only robs those who arguably deserve it. He’s mentor and father-figure, Hurley (Nick Nolte) puts him in touch with Melander (Michael Chiklis) and a few other like-minded thieves, with the intent of robbing a county fair. Thing go a wry when he’s partners go rogue and start opening fire on innocent by-standers. Melander then attempts to bully Parker into using his share of the take, to invest in a bigger robbery, when Parker refuses he is shot, dumped in a ditch and left or dead. A passing family find him and take him to a nearby hospital. As he recovers he seeks revenge on the gang, who are now living in Palm Beach. Whilst in Palm Beach, Parker meets Leslie (Lopez), a down on her luck estate agent, who has recently moved back in with her mother. She is about to have her car repossessed, and is in danger of loosing her job, if she doesn’t make a sale. Parker posses as wealthy Texan looking to buy property, but Leslie thinks something is off about him (probably Statham’s poor Texan accent). Parker soon reveals to Leslie his true intentions and she agrees to help him, for a cut of the profits. Now, Parker has been promoted as an action-comedy. The trailers made it look like Statham and Lopez were the new Riggs and Murtaugh. It isn’t and they’re not. That isn’t to say the pair don’t have chemistry, they do. It’s also refreshing that Lopez isn’t a love interest for him, he is in a fully committed long-term relationship. Over the years, Statham as an actor. He’s learnt “on the job” and he’s performances improve with every film. He also has an instant likability aspect, that some actors would have difficulty pulling off. The performances in this film are mostly solid, but the actors are let down by the script and direction. The writers can’t decide what kind of man they want Parker to be and Hackford comes across like a first time director. you would never believe he had directed an oscar nominated film. The blood and violence in Parker are a bit OTT and the film almost becomes a laughable parody, which is fine for something like the Expendables, which is a love letter to OTT action films, but Parker isn’t The Expendables. Over all the film is a clichéd mess and could have easily lost 30-40 minutes, there are characters that don’t really fit in this movie, or even actually need to be there. It feels incredibly forced, when we’re asked to feel emotion for them. The extras include an informative commentary by Director Taylor Hackford, in which he discusses the source novel, casting, production and effects. To celebrate the UK release of THE EXPENDABLES 2 this Thursday, 16th August, from Lionsgate UK, Big Ideas Di gital is running a limited offer with their hugely popular mobile app game Say What You See: The Collection™ to give users free access to their popular Action Movies canvas. Created by Big Ideas Digital, Say What You See™ is a hidden object game in the style of Where’s Wally?, but with a cryptic twist – once you’ve scoured each oil painting (or iCanvas) for objects, you’ll have to unravel their meaning too. The company’s second release, Say What You See: The Collection™ is an access-all-areas pass to puzzling pleasure that includes a built-in hints system and full Game Center compatibility, so you can compare scores and earn achievements. The limited offer Action Movies puzzle canvas can be accessed from swysapp.com or the App Store at tinyurl.com/swysapp2. For news on the release of The Expendables 2, visit facebook.com/TheExpendablesMovieUK or follow twitter.com/ExpendablesUK.